A tragic incident on the operating table leaves a patient damaged for life and leads a young surgeon to abandon his profession as a physician… Now, years later, a series of senseless, gruesome murders are rocking the same medical community. The weapon? A surgical scalpel. But who exactly is preying on these victims? And why? What does this grisly pattern reveal? And who will be the one to stop it? Special prosecutor Jana Berzelius, who has her own dark secrets to hide, is in charge of the investigation. What she can’t know, until she is finally closing in on the murderer, is just how her own mother’s recent death is intimately connected. This intricately plotted and relentlessly suspenseful medical thriller keeps everyone guessing until the bitter end. When a Thai girl overdoses smuggling drugs, the trail points to Danillo, the one criminal that MMA-trained public prosecutor Jana Berzelius most wants to destroy. Meanwhile, the police are zeroing in on the elusive head of the long-entrenched Swedish narcotics trade, who goes by the name The Old Man. No one has ever encountered this diabolical mastermind in person; he is like a shadow, but a shadow who commands extreme respect. Who is this overarching drug lord? Berzelius craves to know his identity, even as she secretly tracks Danillo, who has threatened to out her for who she really is. She knows she must kill him first, before he can reveal her secrets. If she fails, she will lose everything. As she prepares for the fight of her life, Berzelius discovers an even more explosive and insidious betrayal, one that entangles her inextricably in the whole sordid network of crime. 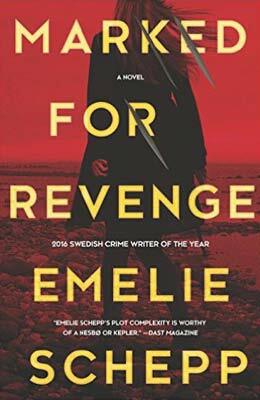 The second in the series of fast-paced, high-stakes thrillers by the international bestselling author Emelie Schepp, Marked For Revenge involves the international drug trade and child trafficking and features the brilliant, enigmatic prosecutor Jana Berzelius, whose own dark past has, until recently, been hidden even from herself. "The most creepy description of smuggling I've read… "
"Schepp can be compared to Jo Nesbø, in both the writing and the realism." 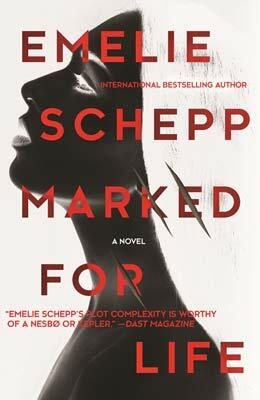 "In Swedish author Schepp's outstanding second novel [she] sure-handedly brings her characters to unhappy life in a police procedural that lays bare the most sordid aspects of immigrant-related crime." "Jana Berzelius, who demonstrated in Marked for Life (2016) that she's equally adept with her fists or a sharp knife as she is with legal concepts in the court room, is on the hunt for Danilo Peña, one of the only men who can provide a link back to her upbringing as a child soldier." On a nearby shore, the drug-riddled body of a young teen is found along with a murder weapon. Reviewing his autopsy, Berzelius sees something hauntingly familiar… Carved deeply into his flesh are initials that scream child trafficking—and trigger in her a flash of recognition from her own nightmarish childhood. Now, to protect herself and keep her dark past a secret, she must solve the crimes and find the depraved mastermind first…before the police do. 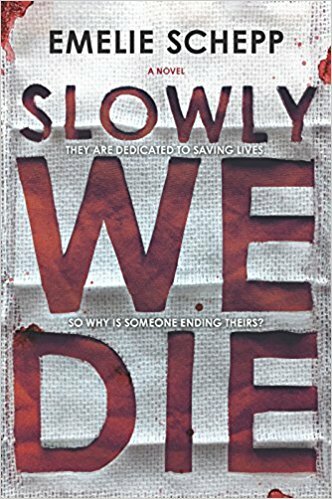 International bestselling author Emelie Schepp introduces us to the enigmatic, unforgettable Jana Berzelius in this first novel of a suspenseful, chilling trilogy. "One of the best crime novels I have ever read!" "The author urges the reader forward, with both the writing and the content of the story, all the way to the last page. This is what a detective novel should be.."
"… Emelie Schepp's plot complexity is worthy of a Nesbø or Kepler." "Swedish author Schepp makes her U.S. debut with this stellar first in a crime trilogy.... Schepp couples an insightful look at the personal and professional lives of her characters with an unflinching multi-layered plot loaded with surprises." "A page-turner you can't put down." "Captures you from the first page and never lets go. Gradually, layer after layer of human evil is revealed. An impressive debut!" "A fast-paced thriller with a good blend of police procedure, the draw of a ninja-strong female lead, and enough adrenaline to make a good night's sleep a near impossibility." "This debut novel captivates the reader from the first moment and is impossible to put down."